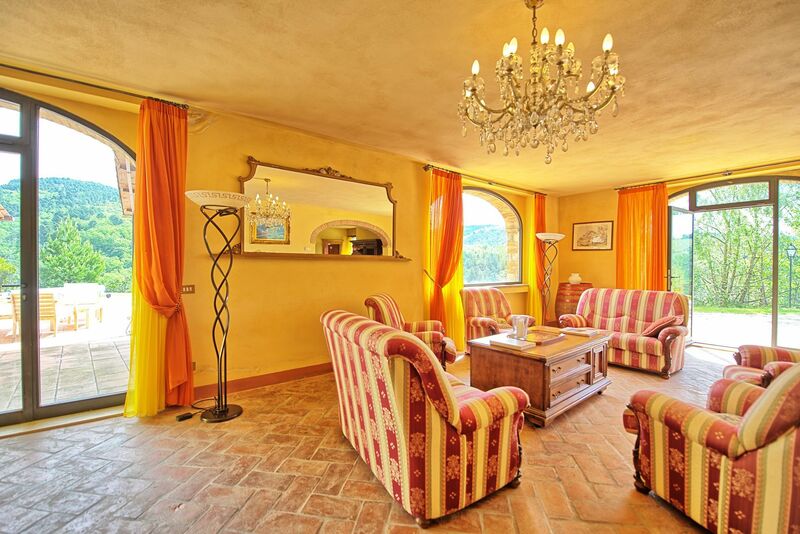 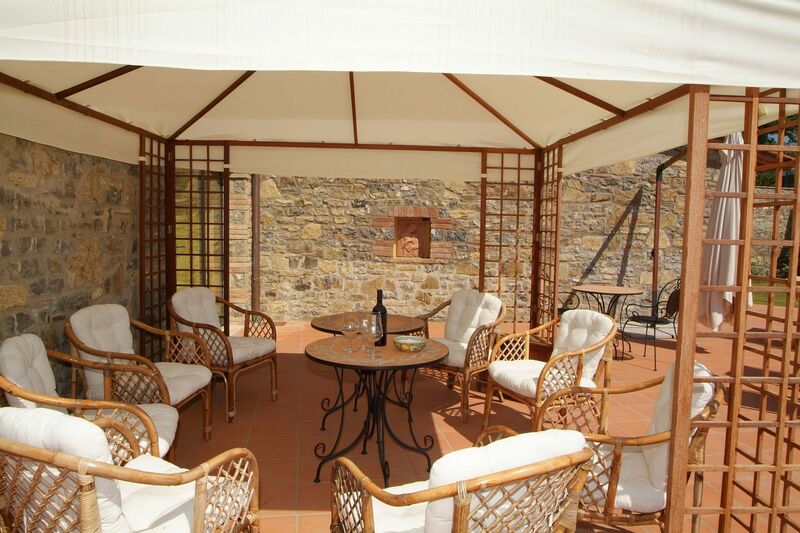 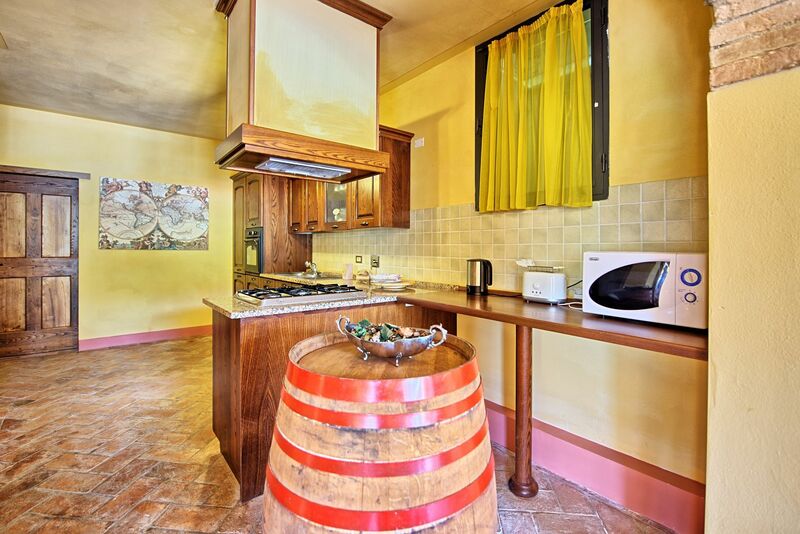 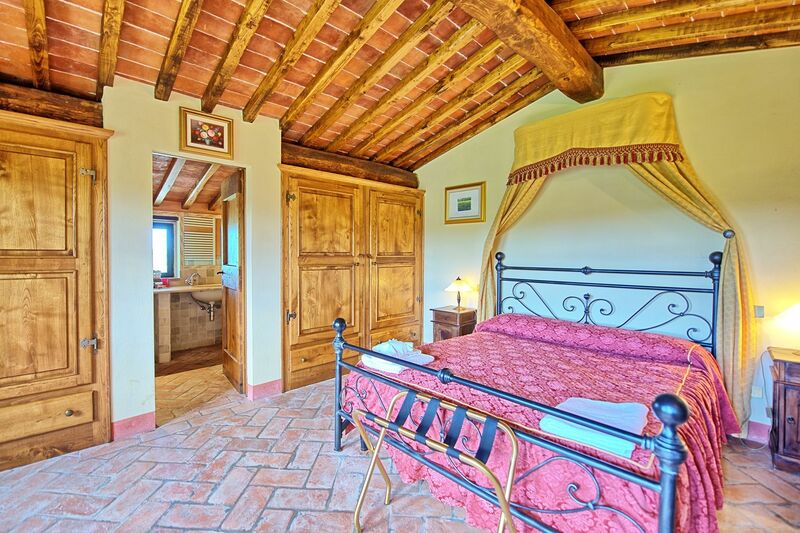 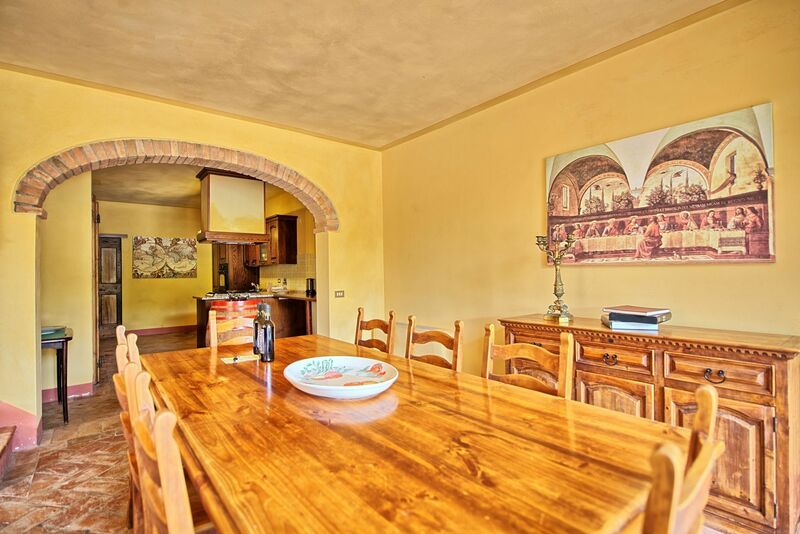 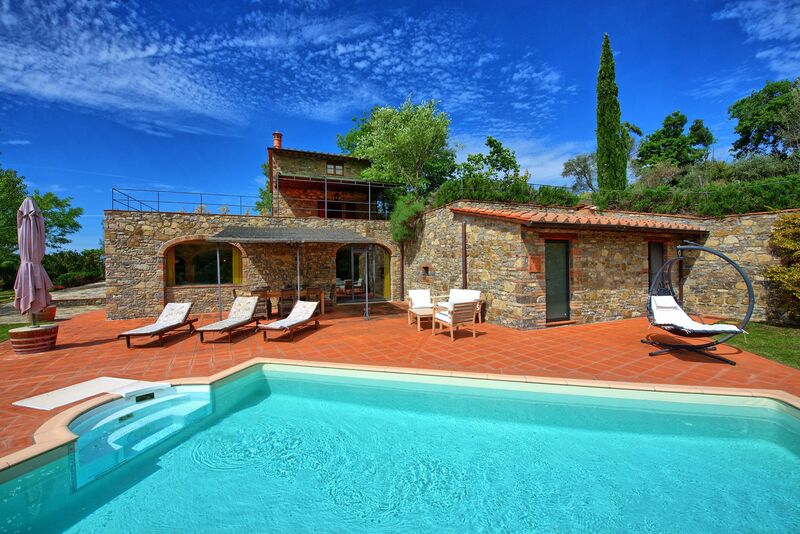 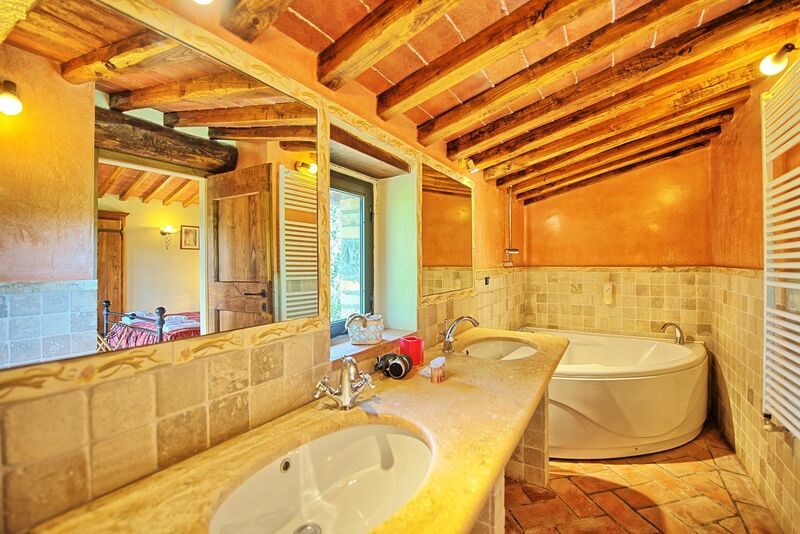 An independent villa situated on a beautiful Tuscan wine estate. 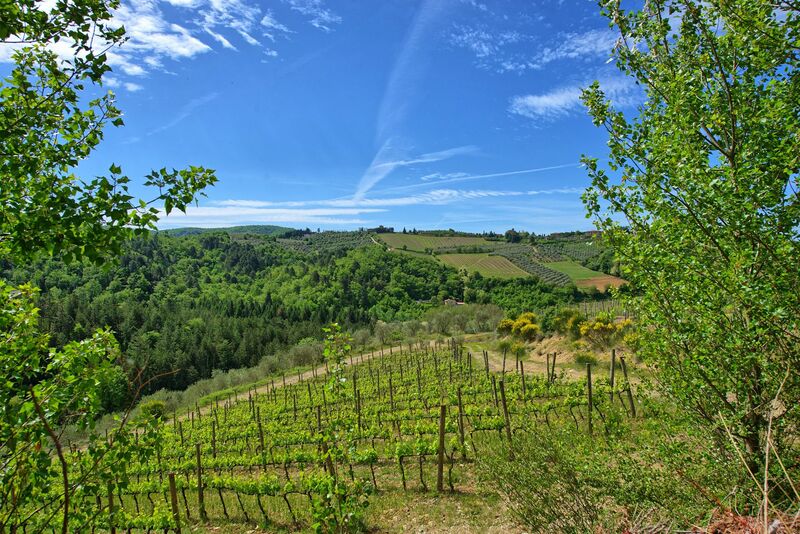 Only 25 Km Siena and 3 Km Gaiole in Chianti. 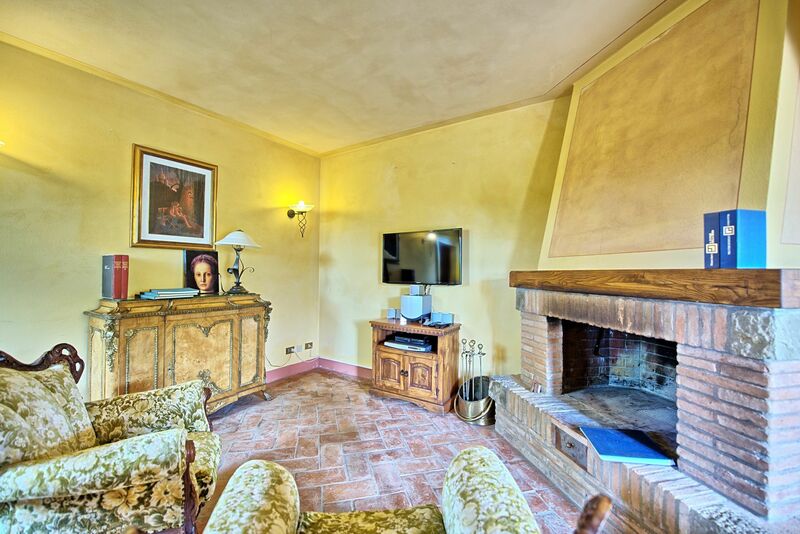 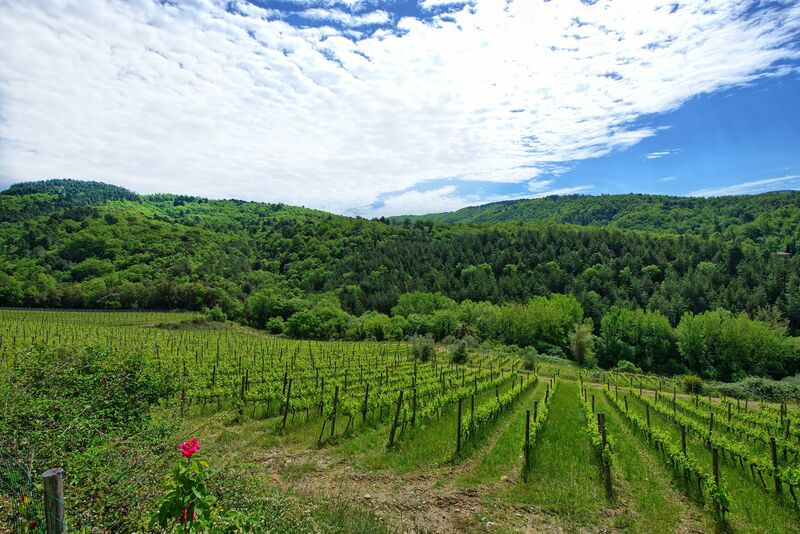 Part of an ancient borgo, (yet completely independent) the property is located on a hillside overlooking a landscape of immense beauty in Southern Chianti. 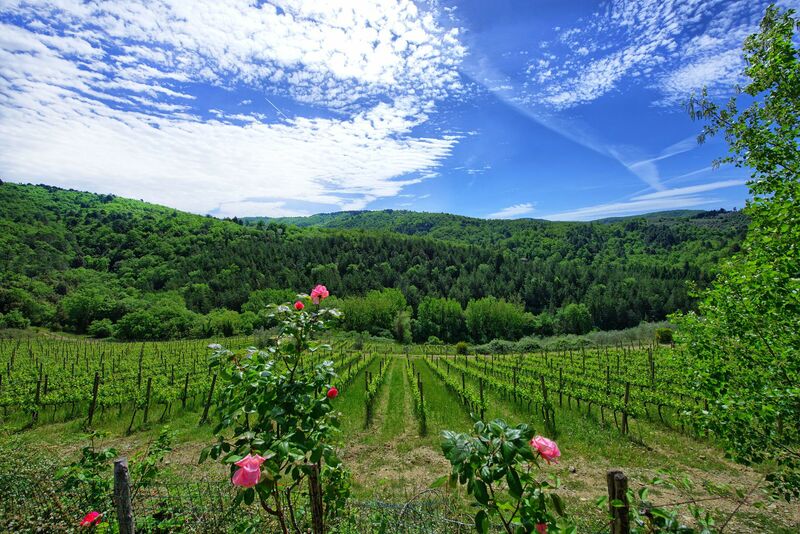 Hidden away from the rest of the world down several metres of 'white road' over the brow of the hill leading from the tiny Medieval castle and village of Barbischio, (180 metres) where there is a rustic trattoria serving WONDERFUL local dishes - some of the best you will eat in Tuscany! 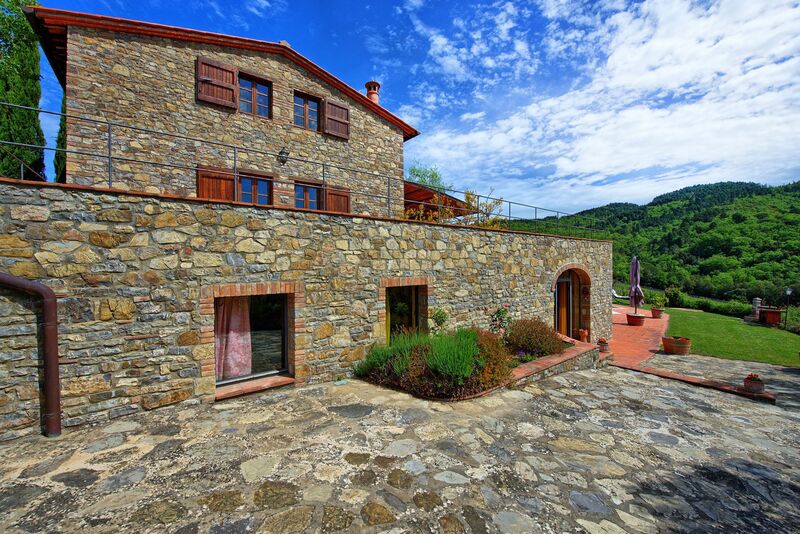 The charming stone built farmhouse is completely independent and offers total privacy. 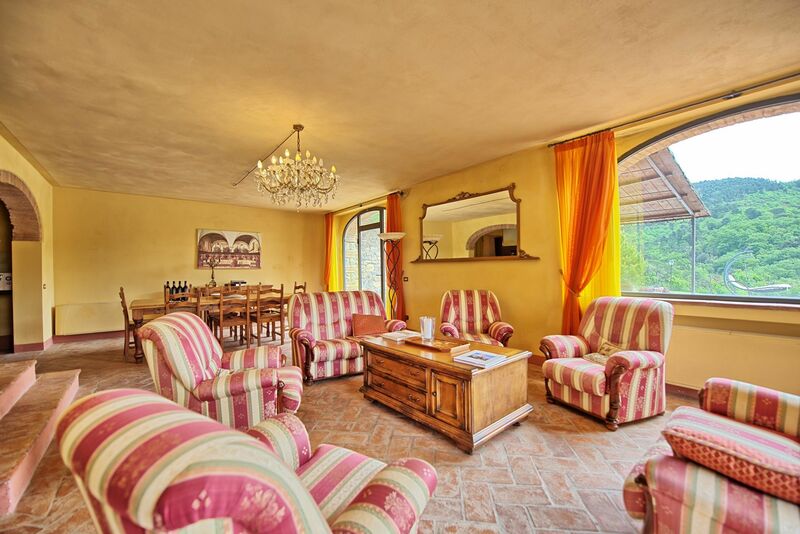 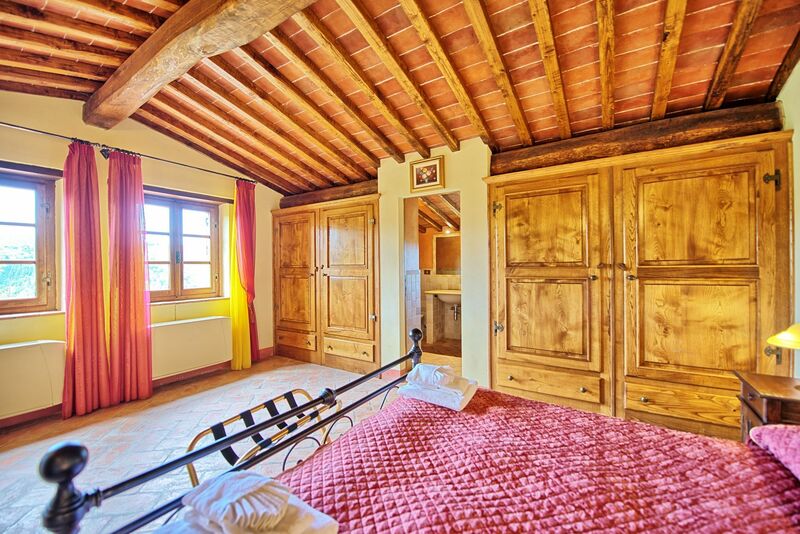 Built in traditional Sienese style with original features such as: stone-facing, exposed beams; floors and ceiling in terra cotta and good quality furnishings, the property is fully air- conditioned. 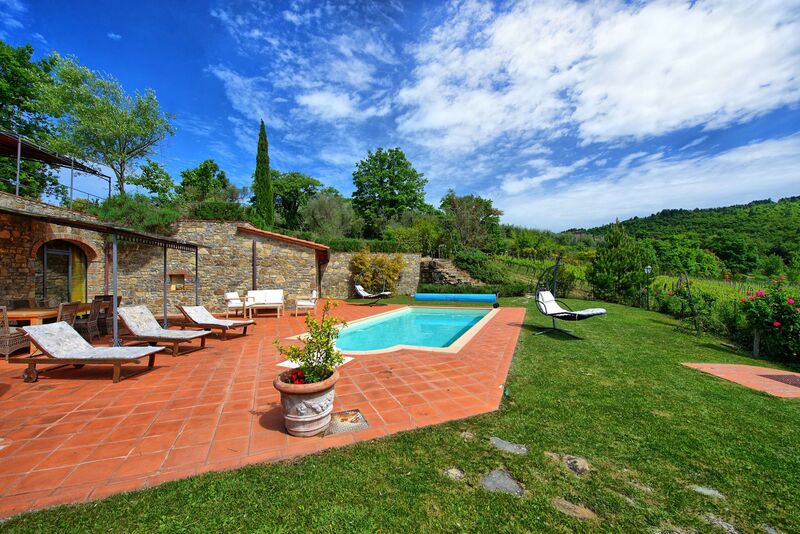 The pool can be heated upon request at an extra cost. 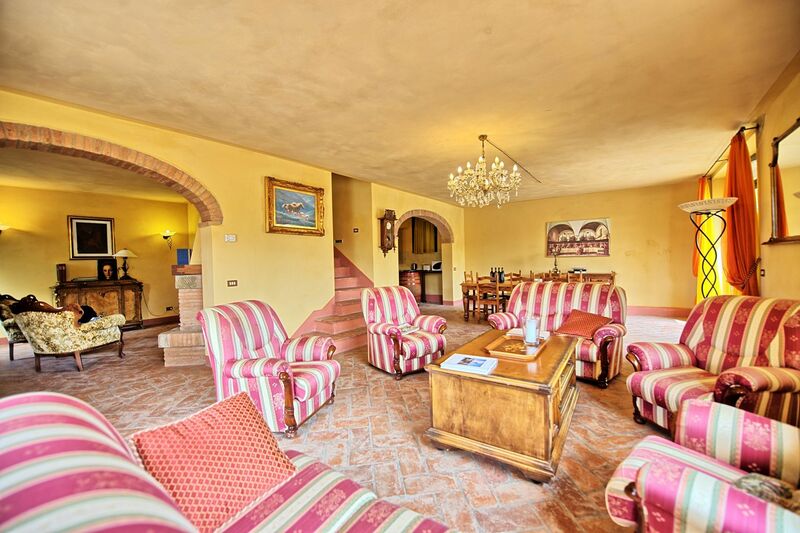 The Villa is aprox 240 m , with a large terraces(400 m ), balconies and an endless garden more than 3.000 m , wide. 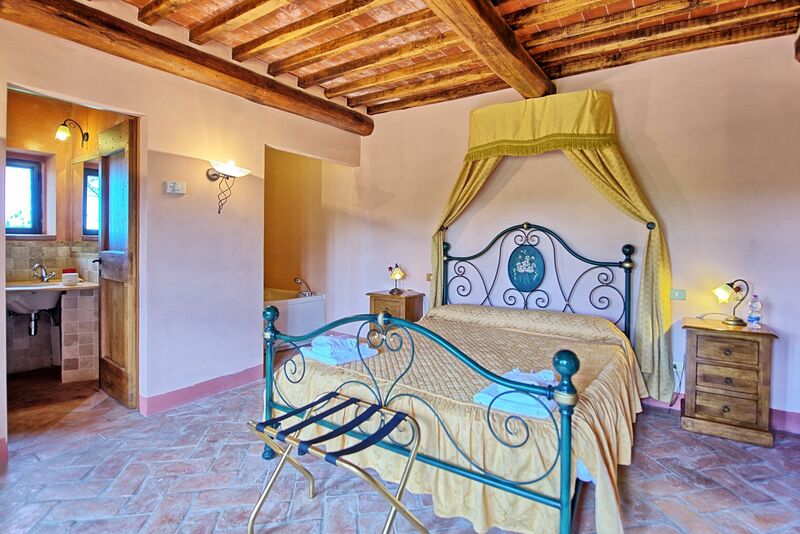 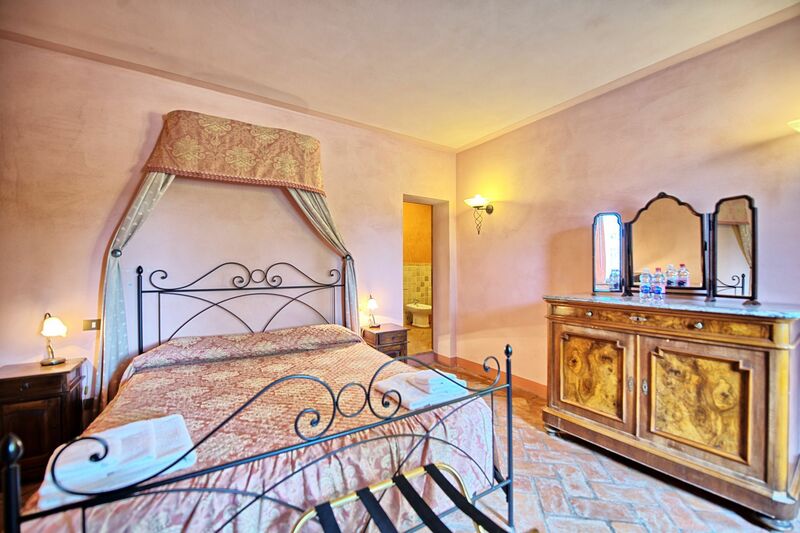 • Double bedroom "Rosa" in front of a rose garden. 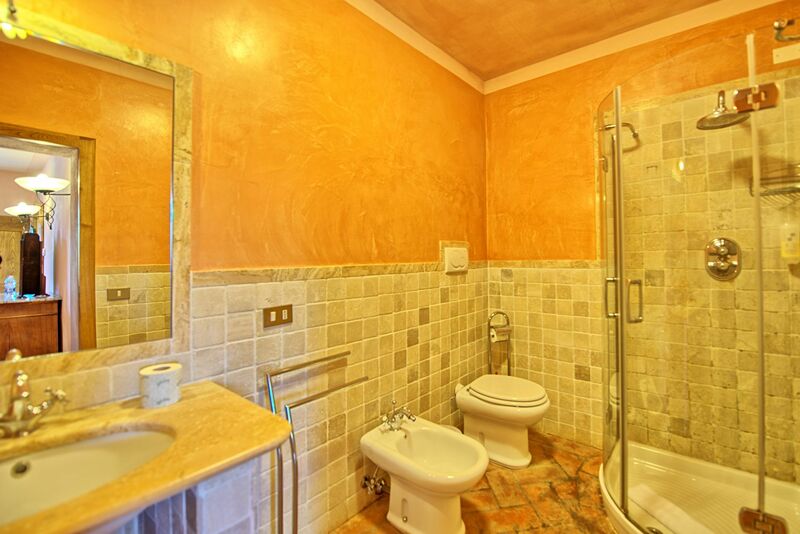 Shower bathroom. 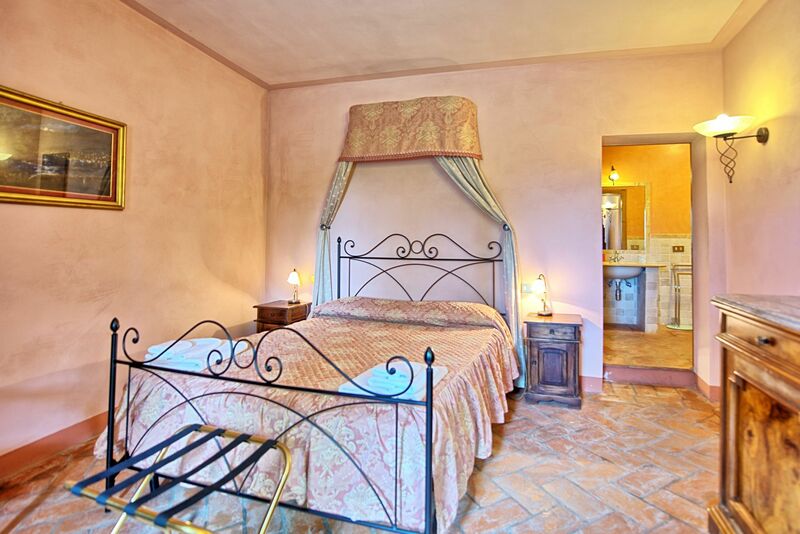 • Twin bedroom. 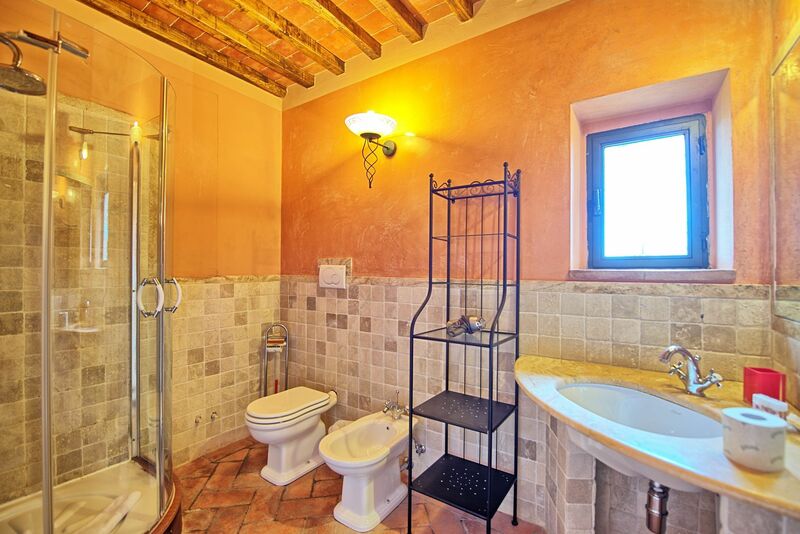 Shower bathroom. 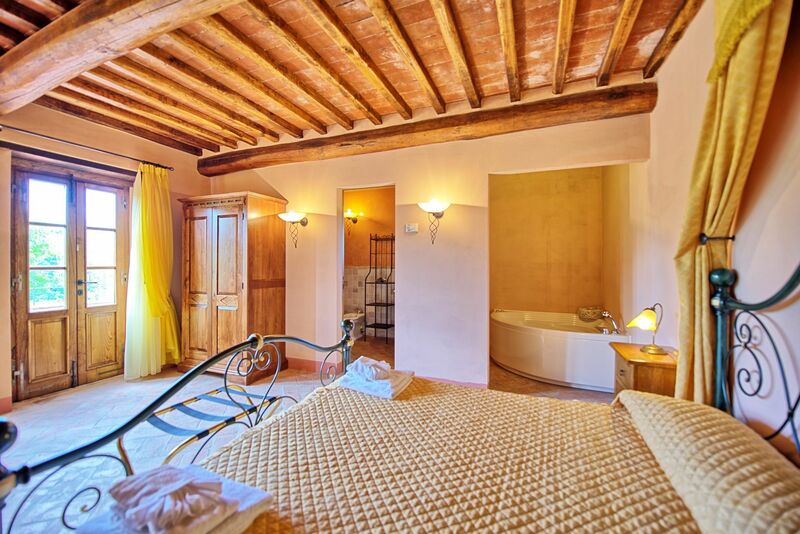 Local Tax: 1,5 € per person/per day for the first 7 days of stay (not applicable to children under 12 years). 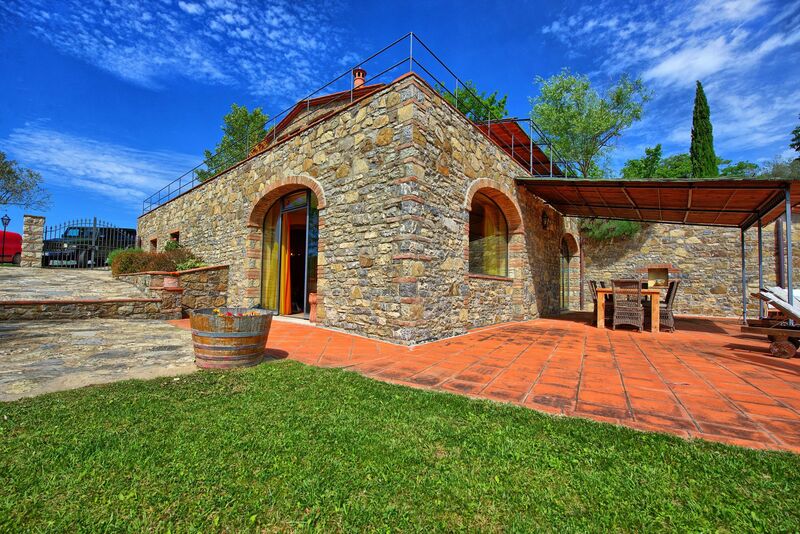 180 metres from the tiny village of Barbischio where there is a rustic trattoria. 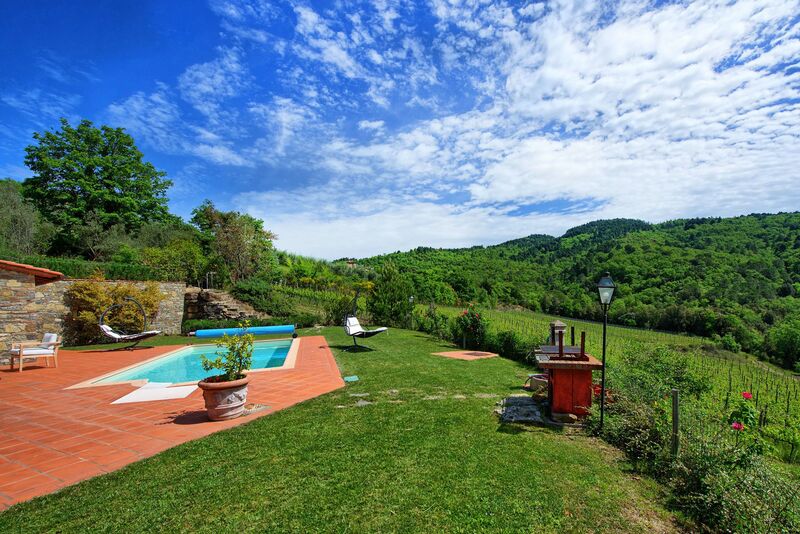 3 km from the village of Gaiole in Chianti where there are local food shops, bars and trattorie.